Home Lambert What Do Aston Villa Fans Think of Lambert’s 4-2-3-1 Formation? 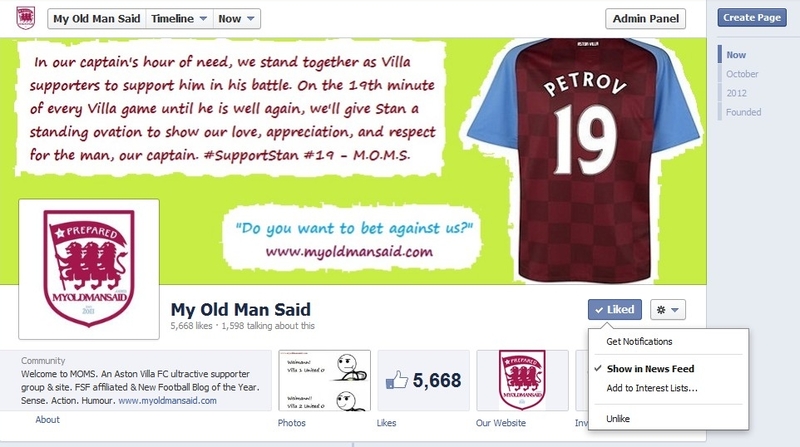 What Do Aston Villa Fans Think of Lambert’s 4-2-3-1 Formation? This post is literally a quick question. What do you think of Lambert’s twist on the old 4-3-3 /4-5-1 when defending? Obviously, Villa have been traditionally blessed with some great wingers over the years – Tony Morley, Tony Daley, Ashley Young, Franz Carr…ok, forget about Carr and Nigel Callaghan, for that matter. So Lambert’s 4-2-3-1 is to accommodate the fact that Villa currently don’t have a reliable go-to guy on the wing. Martin O’Neil actually played the old version when Agbonlahor was played as a lone striker with Young and Downing on the flanks when Villa were third in January and clear of Arsenal. Obviously, the focus of that formation was the speedy counter-attacker with wide men. 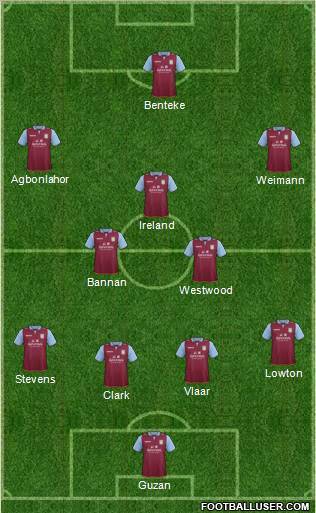 A decent formation for away games, but counter-productive when it came down to trying to break down teams that came to Villa Park to ‘park the bus’ and defend. Lambert’s 4-2-3-1 perhaps offers a bit more diversity and providing a platform to both play the football to break teams down and also to hit them on the break. The two deep-sitting midfielders are also meant to protect the back four and also get the play going from the back. Playing two hard-working strikers on the wings instead of out-and-out wingers potentially gives Villa a bigger goal threat and flexibility, but does it leave the team too narrow with no natural crossers in the team? If you follow MOMS on Facebook, make sure ‘Show in news feed’ is ticked (see below picture). Facebook is automatically removing pages that you don’t interact with from news feeds, so you have to set them manually. They are doing this to try to get pages to pay to promote their posts. The midfield looks more balanced with Westwood, Bannan and Ireland. I just thought that Delph and El Ahamadi were too similar, too defensive and a bit light. Both Ash and Barry pass the ball well and compliment each other. Irleand is looking good to me and it’s important he at least maintains how he is playing now and improves if he can and stays fit. SI is working as hard as I ever seen him work in claret and blue..
Gabby is looking a real handful again and I think Lambert could keep him consistent..
Weimann is there for his goal threat but also his sheer hard work, even when he is playing well, he seems to not let his head drop. I can’t see it being anything other than short to medium term though, although I think he and Holman will battle it out with that spot for now. The system seems to really suit Benteke who is seeing far more of the ball than Bent has all season! He could be massive here if he sticks around long enough. clbick3 I think they might feature again at Citeh, like they did in the cup, if we have to chase the game. Weimann has certainly bought himself some time with his two goals (and deservedly so), but obviously not a known crosser. Good to have competition for places, as it’ll only raise player’s games and we need that with the squad we have. Going forward I want to see more natural attacking midfielders than Gabby and Weimann, but with the current squad I think it’s our best option. And has been for several years. We played our best football I can remember for Villa when we had Gabby up top chasing lost causes, quality wingers and a strong midfield. We were impossible to break down and lethal on the counter. tjvillan I agree, it’s a decent formation for what we’ve got player-wise. If we can get a stronger more experienced defensive midfielder in there, then that will free things up a bit.